Case studies can be defined as persuasive narratives featuring specific, real-world uses for a product or service to help demonstrate their value. Case studies are more than a simple testimonial from a customer – they speak to specific needs and customer pain. They sway purchase decisions and literally make a case for why a buyer should choose a certain solution, and they’re a critical part of your sales collateral library. When it’s time to create new business case studies, marketing and sales professionals often search for case study examples by checking out competitor case studies or case studies they produced in prior roles. This leads to uninspired, undifferentiated case studies that are forgotten as soon as they’re read. The purpose of a case study is to make your product or service stand out – so why would you want to model yours after a direct competitor? That’s why we put together this library of case study examples from over 150 enterprise and mid-market companies. We searched far and wide for examples of truly amazing case studies, and we’ve gathered only the best of the best. Browse through business case study examples from various industries, see the different formats and styles of case studies marketers are producing for their teams, and get inspired! Eds. Note [April 2019]: We’re so excited to add over 20 brand new case study examples to this collection! Now, case study examples from B2B powerhouses like HubSpot, Airtable, Mailchimp, and Gusto are just a click away. Simply scroll to the end of each section of case study examples to browse them. Adobe Marketing Cloud Case Study: RBS, earning customer trust. BrightEdge has produced a strong and straightforward case study that proves their product’s value with some bold charting. After giving some background, explaining the problem, and detailing the results in one page via text, the second half of this two page case study shows two up-and-to-the-right charts demonstrating how BrightEdge helped their customer achieve SEO success. Sometimes less is more when you have really strong data to stand on. App Annie has published a great example of a case study targeted at small businesses. This text heavy case study starts with a narrative that most small development studios can relate to – having their most important business metrics stored in different apps and disparate spreadsheets. App Annie was able to highlight a real pain point that their ideal small business customers experience on a regular basis – siloed data and manual reporting. Bitly’s ecommerce case study demonstrates their ability to add value by tracking multichannel campaigns in a single dashboard. It’s a visually engaging piece that makes use of large font, bold colors and a lot of negative space to stand out. It doesn’t look like any of the other case studies we came across in the marketing tech category. Sprinklr’s case study with Groupon uses an infographic-like visual style to show off major KPIs and performance metrics. If you are looking to create a more formal, enterprise case study template, take a look at this impressive case study from Adobe detailing the Royal Bank of Scotland’s use of Adobe Marketing Cloud. Paltalk quadruples daily ad revenue on the MoPub platform. Ad tech case studies always contain impressive figures, but the ones we find ourselves pouring through also tell great stories. That’s one reason why this LinkedIn Marketing Solutions case study featuring HubSpot is so engrossing, it’s not just about a simple win with a new ad platform, it’s the story of one of the best companies in marketing adopting a new channel that quickly became one of its best sources of leads. Some case studies are more about “who” than “what”. Quantcast’s case study about Buzzfeed’s adoption of their audience segmentation solution is an excellent example of this. A large part of Buzzfeed’s marketing strategy is to target niche audiences with its shareable content. If Buzzfeed trusts Quantcast to segment their audiences for advertisers, why wouldn’t any other large publisher? This case study from Unified detailing how they were able to overcome dark social attribution issues from Linkedin Sponsored Updates using their proprietary technology, is a stand out in terms of its template. A lot of customer success stories in the ad tech space are very heavy on ROI and conversion metrics, but light on design. Unified makes good use of space and large images to create an elegant look and feel. LinkedIn’s case studies contain a lot of information, so to drive the point home, they put their most important metrics into a small infographic at the end to inform the reader of the most valuable takeaways. This Five9 Case Study articulately discusses the advantages of moving to the cloud in a way that most non-technical buyers can grasp. Many case studies from tech companies regard cloud-hosted technology as the superior choice, but they don’t state why. This Five9 case study actually makes the case for why it’s better for SMBs to store their business data in the cloud. Five9 knows their buyer and makes the effort to educate them during their purchase journey. BoldChat Case Study: A game-changing, on-demand support solution. Going niche and speaking to very specific industry segments can help customers know that your product is the right fit for their business. UserTesting’s case study featuring Automatic does a great job of appealing to open source software projects. Automattic, the makers of WordPress, needed to understand how users interacted with their CMS product. However, being open source software, Automattic couldn’t just stick analytics inside of the core code. This is a unique industry problem that a lot of open source software providers face. UserTesting does a great job positioning themselves as a solution for evaluating how users engage with open source software when tracking software is not an option. Words like “global” or “enterprise” can become meaningless after reading them enough times. To help illustrate how Conversocial helps their customers succeed on a global scale, they visualize their impact on a map on page 8 of this case study. This VMWare case study, covering their partnership with CenturyLink, touches on a very complex aspect of cloud hosted infrastructure – hybridized cloud. VMware’s case study describes hybridized cloud technology eloquently so that both technical and non-technical buyers can get a better understanding of what they are buying. HPE makes good use of narrative to break down a complex story about a cloud hosted rapid app development platform. HPE does an excellent job linking out to more content so readers who want to dive deeper can find additional content and self-educate. This CA Technologies joint ROI case study with YJT is visually stunning. It makes excellent use of imagery and space. Unlike some case studies in our library that try to sandwich everything into as few pages as possible, this CA Technologies case study is deliberately lengthy and dives into a ton of detail. This RedHat case study makes excellent use of narrative. It starts with a mandate from the governor of North Carolina to improve the usability of government websites for taxpayers. RedHat positions themselves as the answer to the government’s big technical challenge. This case study gives you a quick summary on the first page – like a one sheeter or an executive summary– then it dives into the story in the subsequent pages. Coalfire’s casino case study has one of the best stories we’ve ever read in a case study. It details a casino hiring Coalfire to test for security vulnerabilities – it’s a real life Ocean’s 11 in case study form. Two big thumbs up. Akamai’s financial services security case study is a great example of a case study for a highly technical product written for a non-technical buyer. Alien Vault’s Bank of New Glarus case study is an interesting example of “versus content”. In the case study, the Bank of New Glarus was originally researching a SolarWinds product. The case study details how the bank stumbled onto Alien Vault during their research and explains why they decided to go with them over the well known industry incumbent. Given it’s nature, versus content often comes across as cheap or mud-slinging – this doesn’t. Many case studies featuring technical products are dense and hard to follow. This Cloudera case study does an excellent job of using hyperlinks to drive interested readers into deep dives, while still getting less technical buyers through the meat and potatoes of the case study without a ton of technical jargon or unneeded complexity. For non-technical buyers, it can be hard to to get interested in a case study about a big data platform. That’s why this Datameer’s case study is so interesting, it focuses on something that just about everyone is emotionally invested in – how their product is being used to help cure cancer. This HortonWorks case study has an example of a visually appealing stack architecture diagram. Most of technical architecture visuals look outdated and awkward, but HortonWorks found a way to visualize their stack in a way that’s engaging, and on brand. This VMware case study about Adobe deploying Hadoop is a polished example of a case study designed for technical buyers. 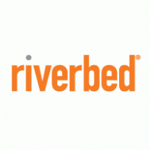 A visual standout in this category is Riverbed’s Case Study with China Bank, which contains a well thought out overview page and numerous stack architecture diagrams for more technical buyers. This case study from SolarWinds featuring Product Hunt’s use of Liberato and Papertrail has an aesthetically pleasing and well designed template. It makes good use of product dashboard screenshots and it tells an interesting and relatable narrative about Product Hunt and why they needed Liberato to scale. This New Relic case study covering how the Obama for America team used the New Relic platform during the 2012 election gives an interesting technical take on a campaign just about every buyer in the US will be familiar with and experienced firsthand. This Amplitude case study is a great example of versus content and shows the benefits one of their customers experienced after moving off of a direct competitor’s analytics platform. Sometimes you can get halfway through a case study before you realize you have no idea what the benefit is or what they are driving at. AgilOne uses a single sentence on the first page of its 100% Pure case study to act as an executive summary. It reads, “AgilOne helped 100% Pure to identify where to build their brick and mortar stores, what product categories their customers tend to buy in, which products could be marketed for replenishment and to establish successful VIP campaigns.” With this case study, a buyer knows exactly what to expect and the promises being made by AgilOne the moment they start reading. If you’re looking for a great example of a case study from an HR software company targeting SMBs across industries, look no further than Zenefits. If you are looking to create an HR software case study template that’s a bit more complex and buttoned up, we recommend checking out case studies from Oracle and SuccessFactors for some inspiration. Want to see a best in class case study example for recruiting services? Check out this excellent case study from Betts Recruiting featuring Greenhouse. Are you using Case Studies to Grow Your Business? With DocSend, you’ll be able to share sales collateral with prospects and clients while getting real-time, actionable, feedback on document engagement, so you can be in full control of your business outcome. Say goodbye to email attachments once and for all, and click here to get started with a free trial of DocSend! Want to submit your case study to our library? email [email protected] for consideration. The competitive battle card is a staple of most sales teams. Sales battle cards serve just one purpose: To help sales reps convince prospects to pick you over the competition.